Description: Rescue 1 housed at E2-3. 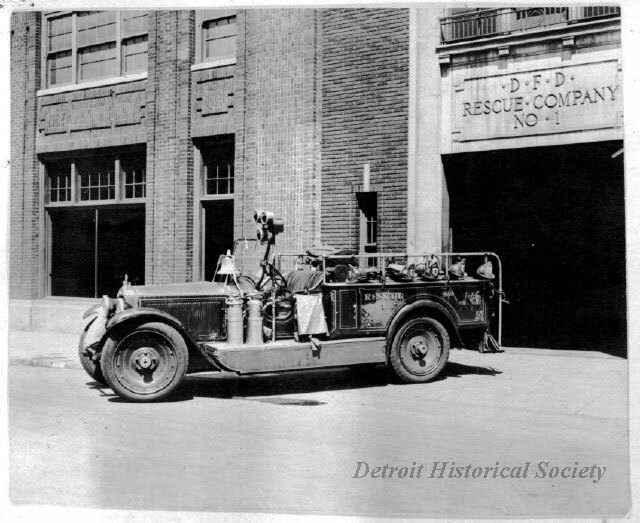 Packard 3-35, third series twin-six (produced 8/1919-6/1923, oft called fourth series), 12-cylinder, 90-horsepower, special lengthened wheelbase, special squad car, photographed on ramp in front of Detroit Fire Department Rescue Company No.1, at Antoine and East Larned St., in downtown Detroit, Mich. 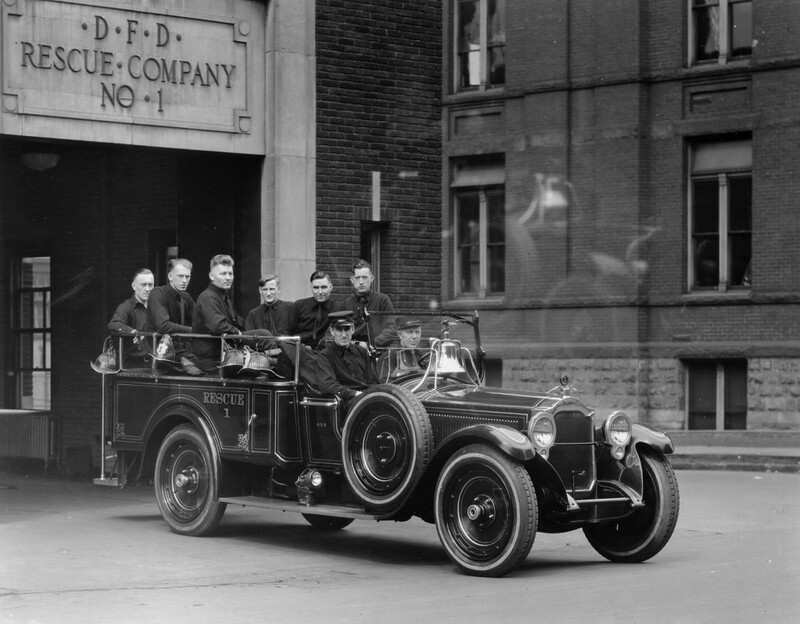 Description: Packard V-12 Rescue Squad No. 1, D.F.D., 1922. Retired Feb., 1936. Circa 1930.